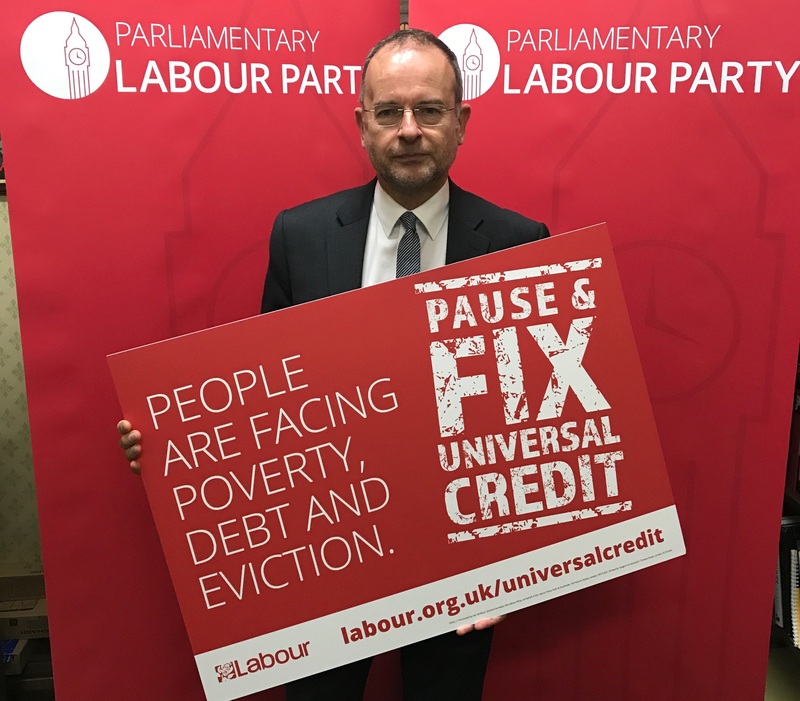 I’ll be voting tonight to back Labour’s call to pause and fix Universal Credit. Where it’s been rolled-out payment delays have driven people into debt. Universal Credit has been set up with a six week wait for payment, and one in four new claimants have had to wait even longer, causing rising debt and rent arrears -; leading some to eviction. Citizen’s Advice found that 79% of those in debt on Universal Credit had priority debts such as rent or council tax, “putting them at greater risk of eviction, visits from bailiffs, being cut off from energy supplies and even prison.” Even the DWP admit that half of those with rent arrears under Universal Credit went into arrears after making a claim. As well as voting tonight, I’ve co-signed a letter to Work and Pensions Secretary David Gauke urging him to reconsider the huge expansion of the roll-out of Universal Credit. The Government should learn the lessons and sort out the problems before inflicting a flawed system on more people. Join me and sign Labour’s petition on the issue here.